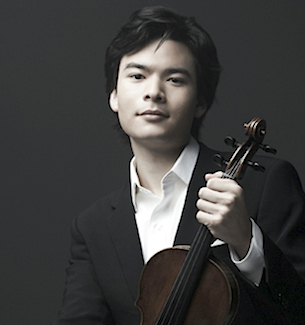 January 27, 2014, 10:41 AM · Stefan Jackiw is an astounding violinist, irreproachable and absorbing. What beauty and what elegance: his playing breathes and radiates. Light is everywhere. Impressively sound and mature, the young man has a broad knowledge and understanding of music and its traditions. At the same time, unafraid to go off the beaten path, he believes that interest in contemporary music is important for the growth of music. Seeing the writing of a piece and working with a living composer is a captivating process, especially if the composer is open to the musician’s input. “If a composer writes a piece for you, there is a lot of him or her, but also a little of you, in that piece. If Joachim wasn’t interested in helping Brahms to write his violin concerto, who knows? There may not be the Brahms Violin Concerto, and we would all be deprived for it," said Jackiw. Great article and interview! It's really nice to read about Stefan Jackiw who is an awesome violinist, musician and person!